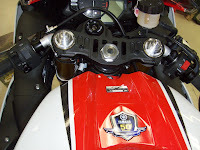 Hamilton On Motorcycles scooters, ATVs, side by sides, Snowmobiles, Snowblowers, Generators. 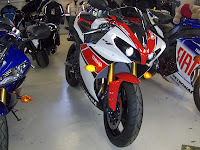 Two special edition YZF-R1s in our showroom at once! The 2010 Valentino Rossi and the 2012 50th Anniversary GP. The 2012 R1 features a sharper, more aggressive fairing "face" with new eye catching LED illumination lighting. 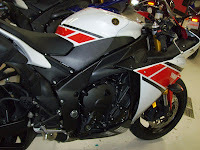 Other new styling highlights include the muffler covers and muffler end caps plus a MotoGP inspired lightweight top triple clamp. This is #1,919 of only 2,000 limited edition models made in 2012 world wide. 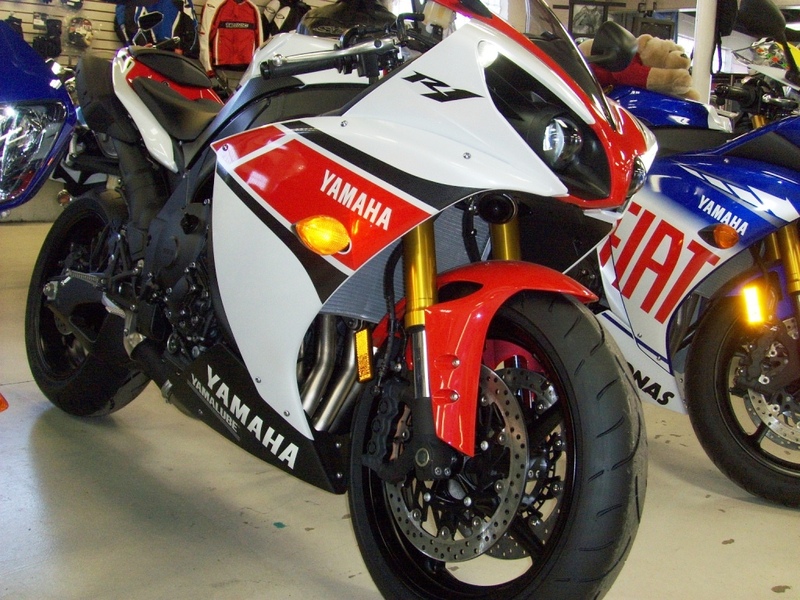 Yamaha is pleased to offer a special Bonus kit to customers purchasing 2012 R1/R6 GP motorcycles. Kits are limited and are offered to the first 100 customers taking delivery (warranty registered).